How to find Legitimate Financial Advisor for yourself? CentrikBlogsBusiness AdvisoryAll For StartupHow to find Legitimate Financial Advisor for yourself? At some point or the other, we all seek financial advice, irrespective of being an amateur or experienced. But to whom should we trust? Not everybody who claims to be a financial advisor is a legitimate one. Therefore, it is consequential to find a legitimate financial advisor, after all, it is our hard-earned money. Go for experts with personal investment experience: One must keep in mind to go for experts or advisors who have personal experience in investing. Do not seek advice from someone who has his wealth from selling advice, he might focus on just filling his pockets. Research on the basis of results and references: While you finalize your financial advisor it is important that you rummage through results and references to verify the quality of the service. As someone who has delivered results and has good references can only provide results being honest. Make sure that your financial advisor has been tested through market cycles: Earning from the market and safeguarding it are two different perspectives but it is showcased as a complete cycle. One should not only concentrate on profits but also learn to control his losses. It is essential that your advice has seen inflation and deflation of market, this will nail down your profit in all possible situations. Face drawbacks along with benefits: It is necessary to understand that no investment is ideal. One should know about all the risks that will help to avoid the loss. Moreover, it is easy to know the risks and avoid than to be completely unaware. Risk Management: Managing your risks and preserving the capital will provide a boost to your investment portfolio. Therefore, do not trust any financial advisor who does not focus on risk management and preserving the capital. 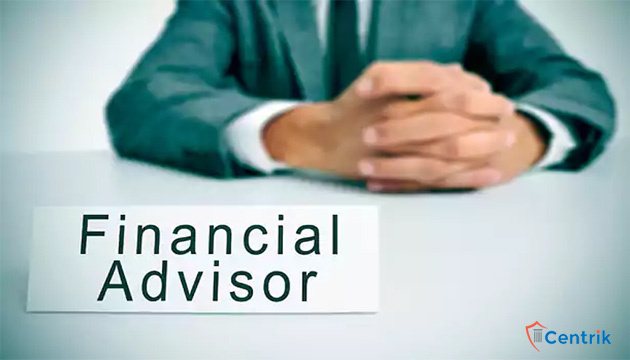 The above mentioned are few key points that you can use while looking for a financial advisor. It is always securable to go for customized advice rather than computerized one. But it is also necessary to be alert and cautious.